Any individual, partnership or corporation doing business under a name, other than their own name or incorporated name, must file a Business Certificate. The certificate costs $40 and is good for 4 years. 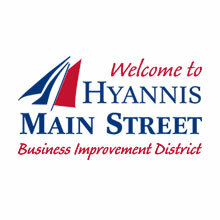 You need to go to Regulatory Services Division at 200 Main St, Hyannis, submit a routing slip and procure signoffs from 3 departments as directed. The Cape and Islands Workforce Board (CIWB) is a regional, private sector led agency responsible for overseeing all publicly funded vocational education and training programs serving the entire Cape and the Islands of Martha’s Vineyard and Nantucket . The CIWB is organized as a private non-profit 501 (c) 3 corporation, formed to carry out the mandates of the federal Workforce Investment Act of 1998. This work is conducted under the guidance of leaders from the private, public, and non profit sectors.